Next week, you and a friend have the opportunity to become the ultimate “bros” on your console of choice. Why, you ask? 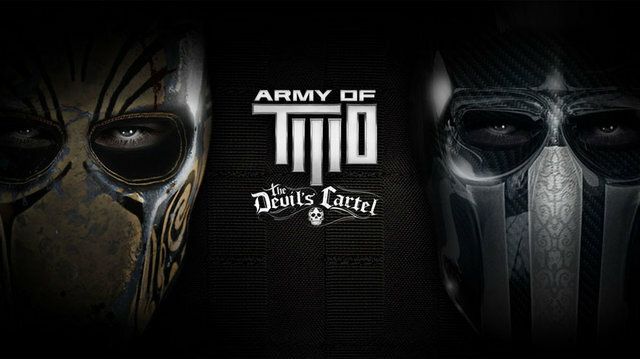 Because EA will be releasing the Army of TWO: The Devil’s Cartel demo and allowing you to play it cooperatively. The demo is slated to release on March 12th, but the wording of the press release makes it seem that one console will get the demo later than the other. It appears that the Xbox 360 version of the demo will arrive on March 13th, but we’ll update the post once we have confirmation. The demo’s description, which we’ve included below, goes as far as stating “epic explosions” are apart of the demo. If you’re a fan of Michael Bay movies, it seems that you’ll be a fan of the demo as well. In the demo, players will step into the boots of private military contractors Alpha and Bravo as they embark on a mission to rescue a kidnapped politician while diffusing an additional hostage situation. From the bottom floor of a dangerous drug lab, to the rooftops of a sky rise, Alpha and Bravo must infiltrate the Cartel’s stronghold and overcome hordes of cartel members, all the while working together to survive. With the lives of others on the line, the dynamic duo will need to split up as one player runs into battle face-to-face with their opposition, while the other takes to the sky in a helicopter to man a mini gun and provide cover. Complete with epic explosions, massive destruction and the brand new Overkill feature, gamers will be able to experience the adrenaline and palm sweating action before the game launches on March 26. Are you planning to download the demo when it releases next week? Be sure to let us know what you think by leaving us a comment below, or discuss Army of TWO in our forums.